LOCATION: 15 East Pender. Former headquarters of the Jin Wah Sing Musical Association. Wayson Choy moved to Toronto in 1962. 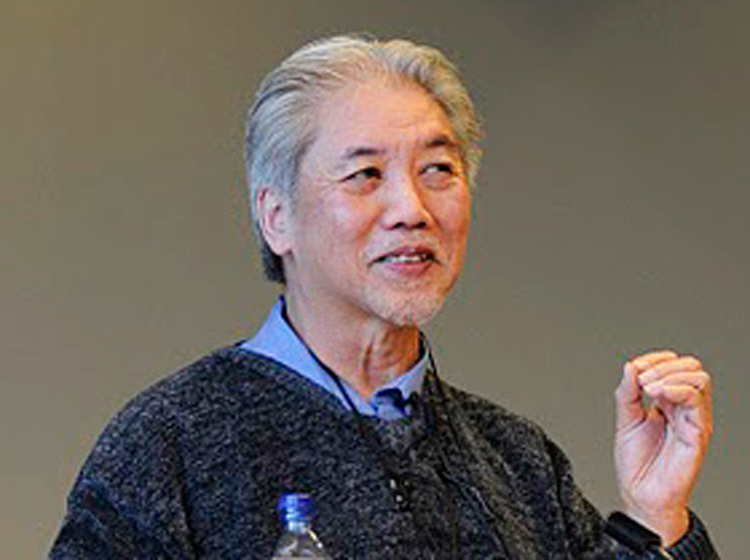 He emerged foremost among Chinese Canadian fiction writers for his novel The Jade Peony (1995), an inter-generational saga about an immigrant family, the Chens, during the Depression. It was selected as the co-winner of the 1996 Trillium Prize (along with Margaret Atwood’s Alias Grace). The Jade Peony also won the City of Vancouver Book Award and spent 26 weeks on the Globe & Mail’s bestseller list. Begun as a short story, The Jade Peony has been anthologized more than 25 times. The Jade Peony was followed by Paper Shadows: A Memoir of a Past Lost and Found (1999), mostly about his childhood. Paper Shadows won the Edna Staebler Creative Non-Fiction Award and was shortlisted for a Governor General’s Award, the Charles Taylor Prize and the Drainie-Taylor Biography Prize. Wayson Choy public marker at the Intersection of Pender and Gore, Vancouver. Part of the Project Bookmark Canada, a nationally registered charitable organization that puts stories and poems in the exact, physical locations where literary scenes are set. In collaboration with an event sponsored by Project Bookmark Canada, a Wayson Choy Special Tribute Evening was held on Sunday, October 14, 2012 at Floata Chinese Restaurant, 180 Keefer Street, in Vancouver historical Chinatown. At the corner of Pender and Gore, in a park situated across from where Wayson Choy attended Chinese school, there is now a pair of bilingual ‘Bookmarks’ displaying an excerpt from The Jade Peony. Wayson Choy was included in a Vancouver Public Library’s initiative that generated twenty-five new literary landmarks for the city, co-sponsored by B.C. BookWorld, in March of 2015. He returned to Vancouver in June of 2015 to receive the George Woodcock Lifetime Achievement Award for an outstanindg B.C. literary career. The flourishing of Chinese Canadian literature was kick-started by UVic historian David Chuenyan Lai and Vancouver cultural activist Jim Wong-Chu who co-edited a breakthrough anthology, Many-Mouthed Birds (1991), with Bennett Lee. Since then Paul Yee has gained considerable success as a children’s book author and Denise Chong has earned widespread notice for her non-fiction family stories. For seven years, Louis Luping Han helped his mother, Dr. Li Qunying—a medical doctor who had worked in China through WWII, the Chinese Civil war, and the Korean War—to write her riveting memoir of her experiences under repressive communism, The Doctor Who Was Followed by Ghosts (2007). Synopsis: Kiam-Kim is three years old when he arrives by ship at Gold Mountain with his father and his grandmother, Poh-Poh, the Old One. It is 1926, and because of famine and civil war in China, they have left their village in Toishan province to become the new family of Third Uncle, a wealthy businessman whose own wife and son are dead. The place known as Gold Mountain is Vancouver, Canada, and Third Uncle needs help in his large Chinatown warehouse. Canada’s 1923 Chinese Exclusion Act forces them, and many others, to use false documents, or ghost papers, to get past the ‘immigration demons’ and become Third Uncle’s Gold Mountain family. In their new life in unsavoury surroundings, there is a constant struggle to balance the new Gold Mountain ideas with the old traditions and knowledge of China. Old One doesn’t like Kiam-Kim to speak English, and Kiam-Kim knows that to be without manners, without a sense of correct social ritual, is to bring dishonour to one’s family. Children who lose their ‘Chinese brains’ are called ‘bamboo stumps’ by the elders because of the hollow emptiness within, so Kiam-Kim must study hard at Chinese school as well as English school. He must help Poh-Poh to cook for her mahjong ladies, and her hard knuckles rap his head when he misbehaves. Although Poh-Poh urges him to stick with his own kind and not let non-Chinese ‘barbarians’ into the house, Kiam-Kim forges a lasting friendship with Jack O’Connor, the Irish boy next door. He also has a girlfriend, Jenny, daughter of one of the mahjong ladies who owns a corner grocery shop. Meanwhile, China is suffering during the Japanese invasion of Manchuria, and soon the whole world is at war. Boys at school are enlisting, and many Chinese have gone back to fight for the old country. Kiam-Kim wonders, “What world would we fight for?” Canada is his home, yet he knows that the new country does not want Chinese soldiers. The Chinese philosopher Cofucius died broken and despondent, convinced that his life’s work had been in vain. Little did he realize that his ideas would survive some 2,500 years. Who was Confucius, and why do his writings continue to inspire men and women to this day? In the documentary Searching for Confucius, Canadian novelist Wayson Choy voyages to China on a quest to understand the great philosopher’s life and legacy. VisionTV presents the film’s world television premiere on Tuesday, March 29 at 10 p.m. ET, 2005, as part of its “History, Mystery, Travel & Treasure” documentary series. Choy, author of the award-winning novel The Jade Peony, fell gravely ill while working on the 2004 sequel, All That Matters. The experience left him determined to learn more about his past. He was intrigued, in particular, by the way Confucianism had shaped the worldview of his immigrant parents. “My life has been lived in the shadow of Confucius,” he says. In the hour-long documentary, Choy travels to the city of Qufu, the home of Confucius and the site of a massive temple built in his honour. There, the author meets with China’s foremost Confucian scholars, as well as some of the philosopher’s present-day descendants. At the heart of his philosophy lies compassion or benevolence, tempered by self-discipline. Confucius taught that a ruler governs successfully by demonstrating virtue. But he had a hard time selling this concept to China’s feudal lords. For more than a decade he traveled the country, trying to persuade the ruling class to adopt his philosophy of enlightened leadership, only to be greeted with open hostility. At the time of his death in 479 B.C., Confucius believed his life to have been a failure. But devoted disciples kept his ideas alive. (His teachings were compiled in a posthumous volume called the Analects.) And ordinary people embraced his vision of a peaceful society and a meaningful life. Eventually, many of China’s ruling dynasties would adopt Confucianism as their guiding philosophy. –by Johanne Leach, a Vancouver freelance writer. The flourishing of Chinese Canadian literature was kick-started by UVic historian David Chuenyan Lai and Vancouver cultural activist Jim Wong-Chu who co-edited a breakthrough anthology, Many-Mouthed Birds (1991), with Bennett Lee. Since then Paul Yee has gained considerable success as a children’s book author and Denise Chong has earned widespread notice for her non-fiction family stories. For seven years, Louis Luping Han helped his mother, Dr. Li Qunying—a medical doctor who had worked in China through WWII, the Chinese Civil war, and the Korean War—to write her riveting memoir of her experiences under repressive communism, The Doctor Who Was Followed by Ghosts (2007). The pair were featured on the cover of BC BookWorld (Summer 2008). On October 15, 2012 at 11 am on the Southeast corner of the intersection of Pender and Gore, Project Bookmark Canada and Wayson Choy will unveil two plaques to highlight and commemorate the physical landscape so vividly rendered in Choy’s iconic novel, The Jade Peony. Members of the public are invited to attend the plaques’ unveiling and to hear the author read from his novel. Project Bookmark Canada is a national charitable organization that marks the places where the real and imagined landscapes meet. We do this by installing poster sized ceramic plaques – called Bookmarks – in the exact physical locations where literary scenes are set. 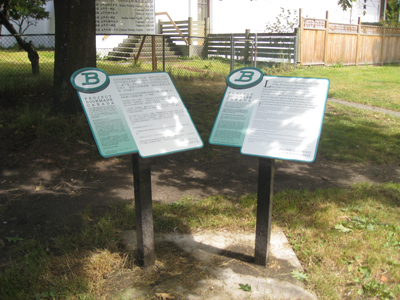 This is the first Bookmark to be installed in British Columbia, with ten Bookmarks unveiled in Ontario and one in Newfoundland. A Wayson Choy Special Tribute Evening will take place prior to the unveiling on Sunday, October 14, starting at 6pm at the Floata Chinese Restaurant, 180 Keefer Street. This unique event will take the audience on a 73 year journey back in time to witness the remarkable life of this literary iconic born in Vancouver’s Chinatown in 1939. During the evening, you will hear for the first time, stories told by relatives, close friends and colleagues from Choy’s past to illuminate Choy’s remarkable journey beginning with his early care-free childhood days at home and school and taste what it was like to grow up in pre-war Chinatown. There will be stories re-accounted by his childhood neighbour and best friend, Garson Lee and his older tap-dancing sister, Shirley Wong who babysat a young Sonny Choy. Listen in on intimate anecdotes told to you by his university schoolmates and instructors and how he became the precedent-setting first Asian-Canadian to enrol in UBC’s creative writing program. The evening’s program will include a rare interview footage of Carol Shields who, during the summer of 1977, taught as a guest instructor for a creative writing class . Hear her impression of Wayson and the exercise she used to inspired Choy to create his famous short story, The Jade Peony. The story was first published in the UBC Alumni Chronicle in 1979. Wayson’s journey as a writer continues when his publisher, Douglas & McIntyre recounts that faithful decision to publish a ground-breaking collection of linked stories titled The Jade Peony. Many successes followed and after the many literary prizes and acknowledgements, in 2002, the book was chosen as Vancouver Public Library’s inaugural ’s One book, One Vancouver. The evening will also include appearances by media personalities who have shared intimate moments with Choy and a new generation of writers and readers inspired by this remarkable man’s writing. The event will be hosted by CBC radio personality, Sheryl Mackay and Todd Wong. It is jointly presented by The Asian Canadian Writers’ Workshop, Gung Haggis Fat Choy, Historic Joy Kogawa House Society and Vancouver Asian Heritage Month Society/ explorASIAN. VANCOUVER, B.C. 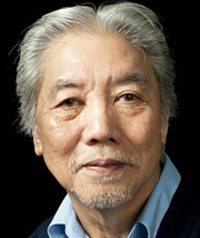 – One of the country’s foremost Chinese-Canadian authors, Wayson Choy, has been named as this year’s recipient of the George Woodcock Lifetime Achievement Award, recognizing his outstanding contributions to B.C. literature. “We are delighted to be recognizing Wayson Choy for his considerable literary contributions,” says Sandra Singh, chief librarian at the Vancouver Public Library, which hosts a special event with the author next week (Thursday, June 11). The George Woodcock Award is the province’s most prestigious literary honour, and recognizes a B.C. author whose outstanding literary career and contributions to society span several decades. It’s presented annually at VPL in a public ceremony, and is co-sponsored by the Writers’ Trust of Canada and Dr. Yosef Wosk. Choy’s life has been a great influence in his writing. His struggles to embrace Chinese traditions as a first-generation Canadian, accidentally discovering he was adopted, facing two near-death experiences and being openly gay have inspired his writing and been the focus of documentaries such as Wayson Choy: Unfolding the Butterfly and Searching for Confucius. With a background deeply rooted in Vancouver’s Chinatown during the 1940s, Choy was the first Chinese-Canadian student to enroll in a creative writing class at the University of B.C. This is where he would begin work on The Jade Peony – a bestselling novel that has received much acclaim, including the City of Vancouver Book Award in 1995. Choy was also awarded the Edna Staebler Award for Creative Non-Fiction for Paper Shadows: A Memoir of a Past Lost and Found in 1999 and Ontario’s Trillium Book Award in 2005 for All That Matters. Choy will receive the George Woodcock Award at a special public presentation on June 11 at 7 p.m. at VPL’s central branch downtown. 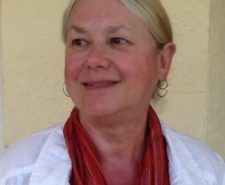 At the same event, author Shelley Wright will receive the George Ryga Award for Social Awareness.